A huge thank you to everyone who attended the March lecture, and to Dr. Owens for a great presentation. If you missed the lecture or if you were interested in reviewing what we learned, Dr. Owens has graciously shared her presentation slides. 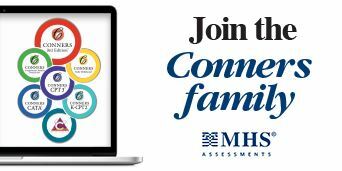 Thank you for your interest in our March Lecture, focused on mental health and mindfulness. We welcome Dr. Whitney Owens. 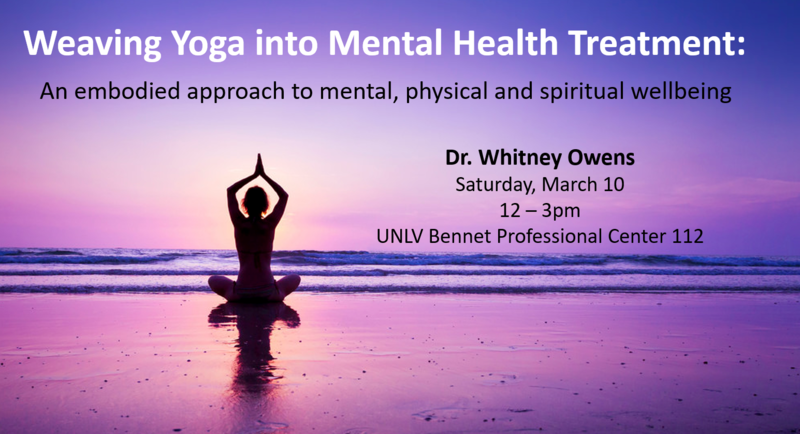 Dr. Owens is a Licensed Psychologist, member of the Nevada Board of Psychological Examiners and a Registered Yoga Teacher. Dr. Owens is specially trained in Dialectical Behavior Therapy, Acceptance and Commitment Therapy and works in the area of Eating Disorders, Addictions and Relational Issues. In her private practice, Dr. Owens works with adults aged 18 and up as well as with couples, families and parents. Dr. Owens is an Eat Breathe Thrive facilitator, Certified Baptiste Yoga instructor, and Certified in Yin Yoga. She is passionate about bringing mindfulness and mindful movement into her work as a psychologist as a way for her clients to embody the skills that they learn in therapy. 1. Mindfulness and why it is used in mental health treatment. 2. How yoga and mindfulness can help with creating body and mind connection and how this can be useful in teaching impulse control, emotion regulation and interpersonal skills. 3. How embodiment of skills results in reinforcement of skill use versus conceptual understanding of skill use.